Rozeleen moved to New Zealand from Fiji in 1994. She was awarded a New Zealand Government scholarship to do Dentistry at University of Otago. Roz graduated in year 2000. She owns and manages three successful dental practices, with 16 Dentists. Roz has a very keen interest in Cosmetic Dentistry, mainly doing cosmetic smile makeovers. 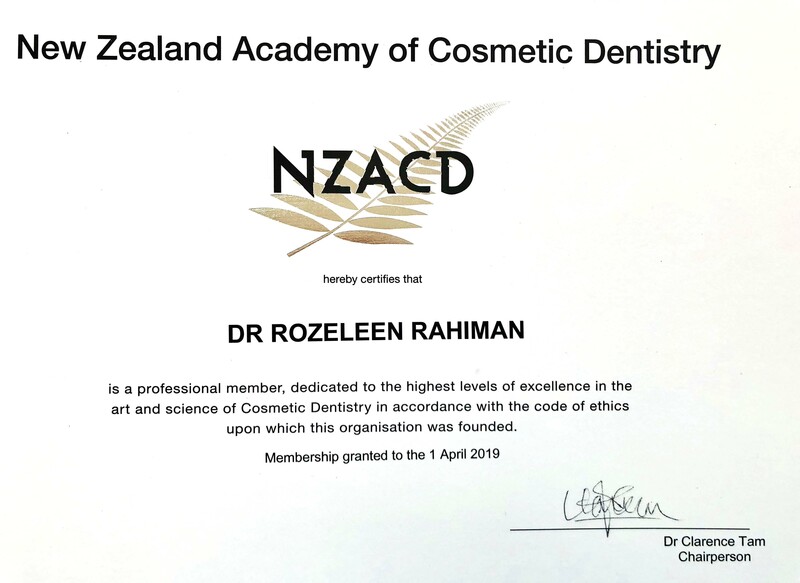 She has been a Member of New Zealand Academy Of Cosmetic Dentistry since 2005. Roz loves spending time with her family and friends. In her free time, Roz loves cooking, gardening and travelling.